Prairie Fires, Caroline Fraser’s biography of Laura Ingalls Wilder, reviewed. A new biography of Laura Ingalls Wilder untangles her story from the American myths her novels helped create. Photo illustration by Slate. Image by Thinkstock. The word dreams in the subtitle of Caroline Fraser’s new book, Prairie Fires: The American Dreams of Laura Ingalls Wilder, is plural for a reason. Laura’s Little House novels, based on her childhood experiences living on homesteads around the Midwest in the late 1800s, braid two dreams together into a single thread, fused by, as Fraser puts it, the “purity” of Laura’s voice, the way her longing for the past and its ordinary pleasures sings through all of the books. The first dream, and the most powerful, is the memory of a childhood made happy by the warm, steady, joyful love of Laura’s parents for their children and for each other. The second is the fantasy of pioneer life, of self-sufficient family farms wrested from the wilderness by sheer hard work and gumption. 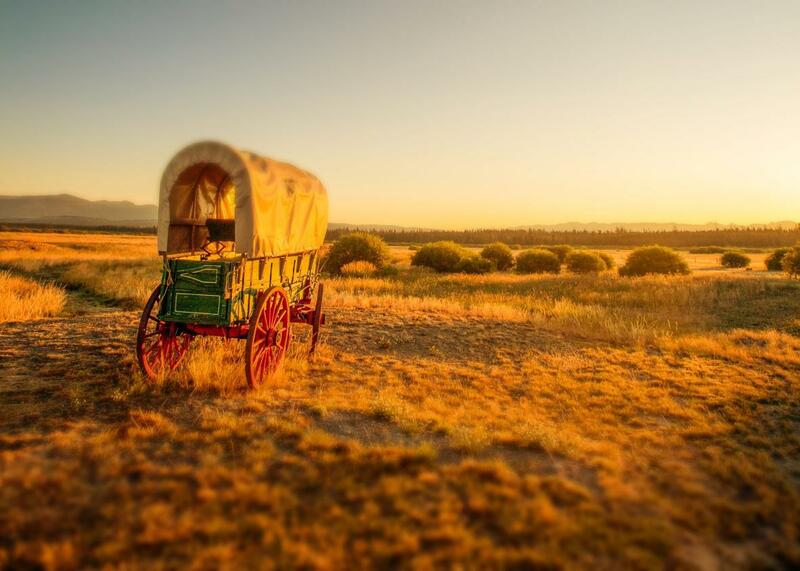 This dream takes the form of a story that begins in a covered wagon and ends, if not in outright prosperity, then at least in comfort and—above all—independence. Laura Ingalls Wilder and her daughter and collaborator, Rose Wilder Lane, stoutly maintained that the Little House books were true in nearly every respect, although Wilder scholars and fans have long known that this is not the case. For instance, crop failures in Minnesota, the setting for On the Banks of Plum Creek, forced the family to sell their land and, in 1876, move to Burr Oak, Iowa, where they were partners in the management of a hotel that still bore the bullet holes from an incident in which the former owner’s wastrel son had fired a pistol at his wife. This lively but sordid interlude was entirely omitted from the bucolic Little House books. Also unremarked is the fact that from the age of 9 onward, Laura would spend much of her time working outside the home, often as a seamstress, to help support her family. Even more troubling, Laura’s fans have had to reckon with the revelation that the family’s iconic Kansas house was illegally built on land belonging to the Osage American Indians. None of this is news, but in Prairie Fires, Fraser places Laura’s choices as a writer within the larger context of Americans’ self-deception when it comes to the pioneer life and its legacy. This she manages to do without diminishing Laura herself, a woman Fraser clearly admires. It needs to be done all the same, because the books’ legacy has been muddied by Rose Wilder Lane and her acolytes, who have enlisted them as propaganda. The author of best-selling potboilers, magazine fiction, and, in her later years, political screeds, Rose practically muscles her mother off the pages of Prairie Fire. Fraser’s attention to Rose (a choice likely to annoy many of Laura’s fans) is understandable. After marrying Almanzo Wilder in 1885, Laura endured several harsh years with him trying to get a farm going in South Dakota until finally the couple moved to Mansfield, Missouri, in the Ozarks, where they quietly settled for a comfortable but not-that-exciting life. Rose, by contrast, was an impossible, moody, imperious globe-trotter, a libertarian crank, part of a troika of prominent female writers that included Ayn Rand. Rose often invoked the bootstrapping spirit of her pioneer grandparents, inveighing in her own work against government handouts, regulatory intrusions, and taxes, which were, she maintained, poised to bring about “the swift and violent death … of democracy.” Laura often agreed with her daughter, particularly as she got older; both women reviled FDR and the New Deal. But Laura at least had some claim to thrifty pioneer ways. Rose, by contrast, preached personal responsibility while spending money she didn’t have, lavishing gifts on a series of young male protégés she referred to as her “sons.” She had a passion for designing and remodeling houses in the latest fashions, even as she boasted of having a mother who once lived “in a creek-bank in Minnesota.” A tempestuous daddy’s girl, Rose also often maligned her mother for her parsimony and provincialism. Some Rose partisans felt obliged to take her side in assessing the complicated dynamic between mother and daughter. Her heir, Roger MacBride (who referred to Rose as his grandmother), sold the television rights to the company responsible for the schmaltzy and popular series titled after Laura’s second book. (Fraser is very funny on the opportunity the show provided star Michael Landon to make his “clean-shaven and well-oiled” chest “a primary visual motif.”) MacBride used the profits to run as the Libertarian Party candidate for president in 1976, receiving press coverage that called him, bizarrely, a “self-made millionaire” as a result of the TV series. Another admirer of Rose’s, William Holtz, published a biography of her in the 1990s, claiming that Rose had effectively written all of the Little House books, using the raw material of an early memoir by Laura, Pioneer Girl. Fraser briskly dismisses this calumny while acknowledging that Rose, a talented editor, contributed a great deal to the books. “To some extent,” Fraser writes, “Wilder saw writing as a cottage industry: books were the work of many hands, like quilts at a sewing bee.” Rose—who began her career as a journalist, then wrote a fake, quickie unauthorized “autobiography” of Charlie Chaplin that was full of inaccuracies and outright lies—could not produce fiction with the limpid simplicity of the Little House books. 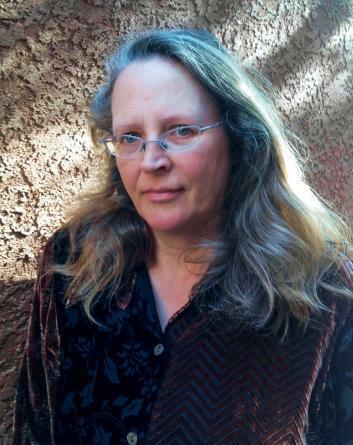 When she tried, attempting to depict the same events her mother recounted in her books, the result was what Fraser calls a “homesteading soap opera” without the “powerful emotional undercurrent” of her mother’s work. 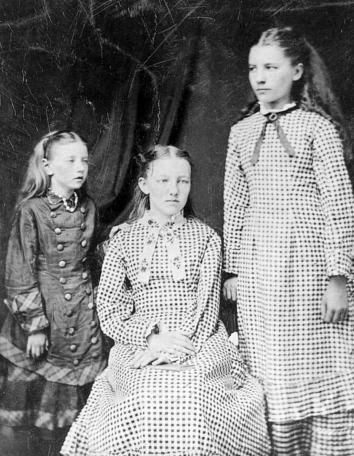 The first known photograph of the three eldest Ingalls sisters, Carrie, Mary, and Laura, taken around 1879 or 1880. “Glimpses of historical events can be seen in offhand references in Wilder’s memoir, like blurry figures in the background of a photograph,” Fraser observes of Pioneer Girl. That’s only natural, given that Laura presents a child’s view of the times. Prairie Fires places the Little House books in their larger historical context. The parallels between the delusional political rhetoric of Laura’s time and our own pretty much draw themselves. The Homestead Act of 1862, the law that enabled pioneers like Charles to lay claim to land (itself mostly stolen from American Indians), was “one of the largest federal handouts in American history.” Fraser details the dishonest promotion of the Great Plains as excellent farmland by both government and big business, the catastrophic effect that settlers had on the delicate ecosystem of the seemingly empty prairie, and the crushing droughts, apocalyptic fires, and biblical-grade locust visitations that resulted from these and other human-caused traumas to the environment. The periodic depressions and market crashes that bankrupted countless family farms proved over and over again that the fate of even the most rugged individualist could not be detached from the larger world. So much of the allure of the Little House books has to do with the exclusion of that larger world, with the dream of a return to that small circle of family that makes up a child’s horizons. It’s also the dream that the material things in our lives might regain some of their magic if they weren’t so plentiful and easy to get. In her perfectly charming memoir, The Wilder Life: My Adventures in the Lost World of Little House on the Prairie, the children’s book editor Wendy McClure writes of her lifelong fascination with Laura’s novels. “I wanted to live in one room with my whole family and have a pathetic corncob doll all my own,” she confesses, knowing how ridiculous it sounds. There are undoubtedly 8-year-olds today who harbor the same dream—while also nagging their parents for smartphones. Just as I, under the influence of Laura’s books, pestered my mother to let me try to churn butter while I watched TV. In our absurdity, it helps to remember that not even Laura could regain the past she wrote about so beautifully. Perhaps that’s because it never really existed, except, for a few brief years, in the eyes of a little girl. Prairie Fires: The American Dreams of Laura Ingalls Wilder by Caroline Fraser. Metropolitan Books.